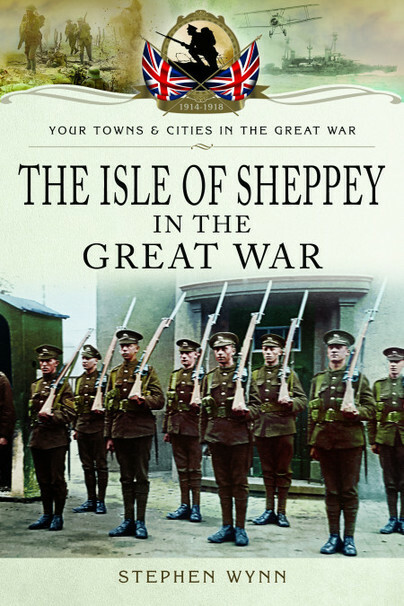 You'll be £12.99 closer to your next £10.00 credit when you purchase The Isle of Sheppey in the Great War. What's this? One of its main claims to fame in relation to the years of the First World War would have undoubtedly been in relation to aviation. The island had been a hive of activity in relation to flying since the beginning of the twentieth century, when the Royal Aero Club came to Leysdown, making it the first airfield in England. What became Eastchurch Aerodrome was where the first pilots of the Royal Naval Air Service were trained, making it the first military flying school in the country. The Short brothers also had an aircraft factory at Eastchurch where they designed and built their own aircraft, some of which would be used during the First World War. The Isle of Sheppey also boasted another aircraft factory, which was situated at Shellbeach on the east coast of the island, an emergency landing strip at Harty on the south east side of the island, and a balloon station at Sheerness. The First World War certainly saw the Isle of Sheppey rise to the occasion and add to its long and illustrious military history. The part it played went a long way in enhancing the island’s reputation of having a dogged determination to do what needed to be done for the greater good in the nations time of need. A very good record of events during the Great War, and for those researching families it is an excellent starting point.